AmazonBasics has this handy cat littler mat for just $8.99 (regularly $17.99) as part of their add-on program. 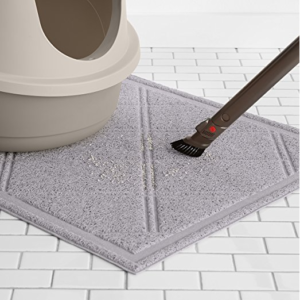 This mat measures 35″x24″ and features litter-trapping grooves in a durable PVC material to help keep cat litter where it belongs (and not all over your floors! ).